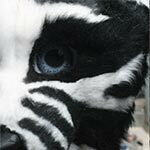 Need a Fursuit or animal mascot in the Wisconsin region? Note: this was sitting on one of my old websites. It’s still a good article. So I’m posting it here! K-Thanks-Bye! Fursuit’ing and/or Animal mascoting is the art of acting inside of a giant acrylic fiber suit that many of it’s practices can be commercially dated back to the age of Walt Disney’s theme parks. You can even go farther back dealing with paganistic religions that deal with dressing up in the pelts of animal skins that are akin to your personal spirit. But That may be pushing the topic of this article farther then I would like to go. The construction methods vary greatly going from the old school fibre-glass construction of the frame, to the more modern 3-d printing technology. Either way you look at it fur suits and animal mascots is an art-form that I appreciate greatly almost as much as I love watching high fashion videos.. The I had this article on one of my old sites. And I figured the information is still good and will share it here as well. 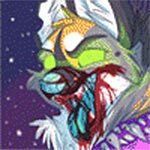 If you type into YouYube “Fursuit Dance” you will find plenty of videos that iconifys that level and art-form that makes a fursuit what it is. Dating back the furry fandom its only around the mid 2000’s that the fursuiting industry began to explode. Before that you either had to know someone or attempt to build it yourself. Which hey! DIY to me is awesome! You will make mistakes but then you get better. It’s the nature of doing anything creative really! So it would be fitting to start with the reference material to get you involved. I suppose before we get into book recommendations the very basics you should try is to build yourself. Meaning, what kind of creature are you? Do you have any markings? You do not have to be an artist at this point to figure this out. Simply writing down the characteristics of what makes you really you is the most important thing you can do before doing your research or contacting an artist. From there you can contact an artist on deviantart or furaffinity to get what is called a “Model Sheet” which is a profile of your character that will be used almost as a blueprint to make your fursuit character. Critter Costuming: Making mascots and fabricating fursuits. Please note: No amazon affiliate ID is used in the link and I will receive no compensation if you purchase this book. I am not a professional and this is only my opinion and do not believe in profiting off of that. I did a review about this book a while back but I didn’t think it was very informative so I simply removed the link. 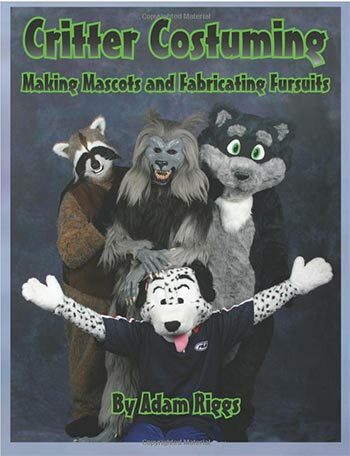 The gist of my review is that it is a great foundation book for teaching you all of the techniques which many fursuit designers will use when making their costumes. The quality of the fursuitors pictured may be a little dated and your totally right! This book was released in 2004 just as people started to really get going with making their own suits. Even if you are not going to make your suit yourself and instead are going to have it done by someone else this book will give you the foundation of understanding all of the work that goes into your suit and a little bit about how to behave and act within your fursuit. The links that I have are limited to the Wisconsin region where I live. However, there are plenty of fursuit designers throughout the US which can help you. The reason why I filtered down to Wisconsin is simple which is it is far easier to have a suit fitted by a tailor you can physically visit versus traveling across country. Even with Duct-Tape dummies there’s a chance of error. Also, as long as you understand that having a fursuit made for you is a huge investment that can range into the thousands of dollars in some situation. The list is generated in Alphabetical Order to all fursuit designers in the Wisconsin Region. As always, be sure to read and understand any contract fully before employing a fursuit designer. They all have their own unique methods of business and to avoid any stress or confusion everything should be clear before making a purchase. If you are a fursuit designer within the Wisconsin region leave a comment below and I will be happy to add you. I hope this entry helps you along your way and until then.